Correct response: Who is Mark Twain? The term came from a postcard that Twain wrote to Sullivan. Thanks to Mark Barrett for providing me with a full chart of this game. 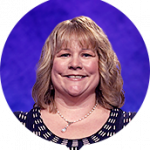 3 Comments on "Today’s Final Jeopardy – May 28, 2018"
Did you write the correct response before your morning cup of coffee? ‘Who is ?’ as the correct response. Funny. 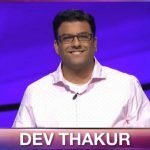 As of 12:28pm, they never updated the new contestants this week on Jeopardy.com. There must’ve been a problem. I guess the J! web team got the holiday off. 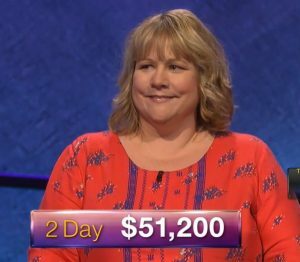 The NY Times clue of the day wasn’t there this morning and “This Week’s Contestants” still shows last week’s folks as I write this.